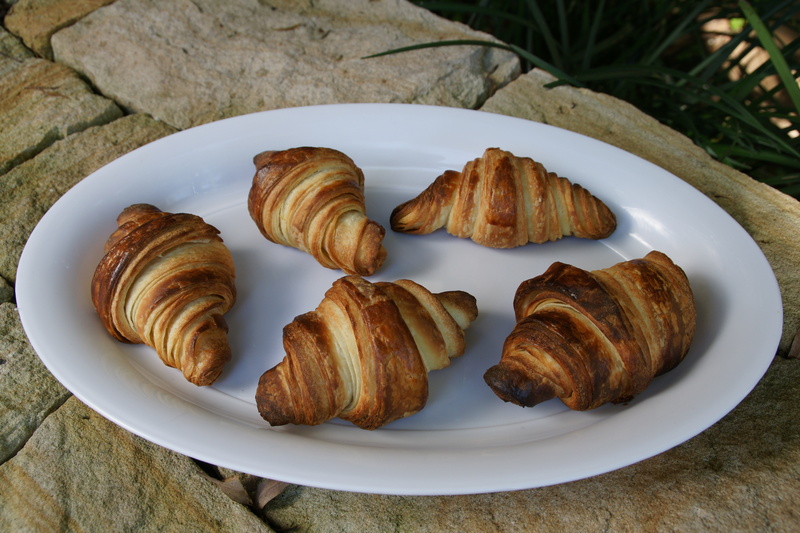 Buoyed by the success of recent croissant attempts, yet always searching for a way to express my inner laziness, I have been busy researching making baked goods in the Thermomix. This weekend involved a 10km race each for the husband and I (his a lot faster than mine), a return to ballet, a late-night long run and a long overdue visit with friends and their gorgeous boys. 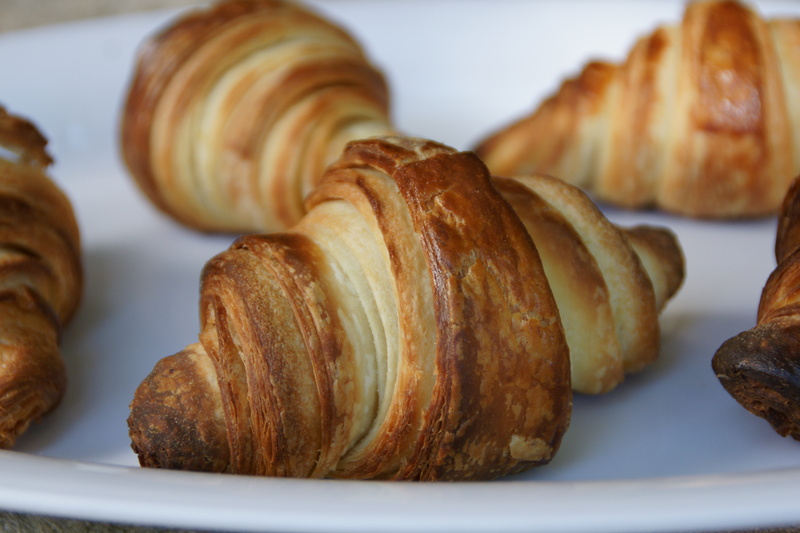 All of these things added up in my mind to a need for croissants. I did a bit of lazy googling before setting on this recipe from the Thermomixer blog. The description was really easy to follow and it all made sense. I basically followed that, leaving the dough in the fridge overnight for the second 2 hour window. The husband/chief croissant consumer declared himself to be well pleased with the product, so this may become the lazy baker’s croissant recipe of choice. What beautiful layers 🙂 cant wait for the brioche!